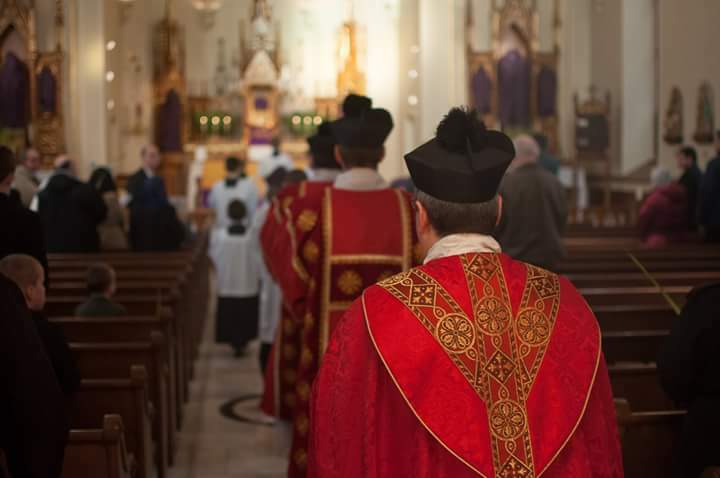 Tradition is beautiful and the truth is compelling. 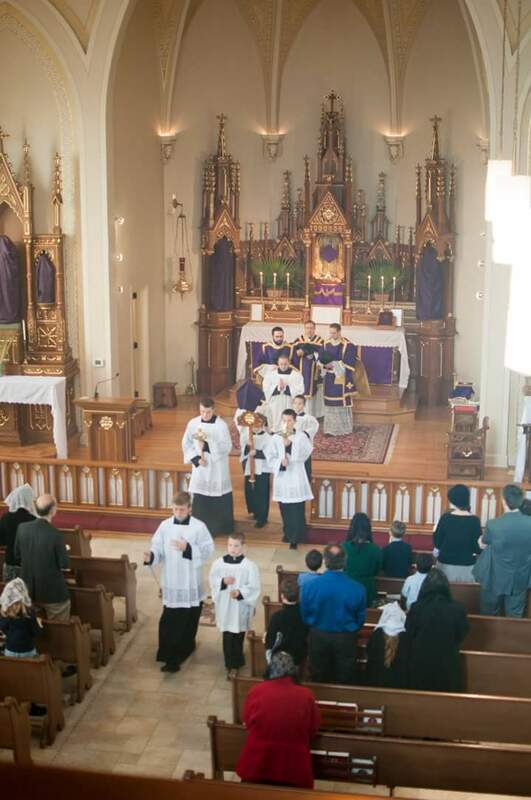 The more we are able to share the beauty of the traditional liturgy, the more people come to yearn for it themselves. 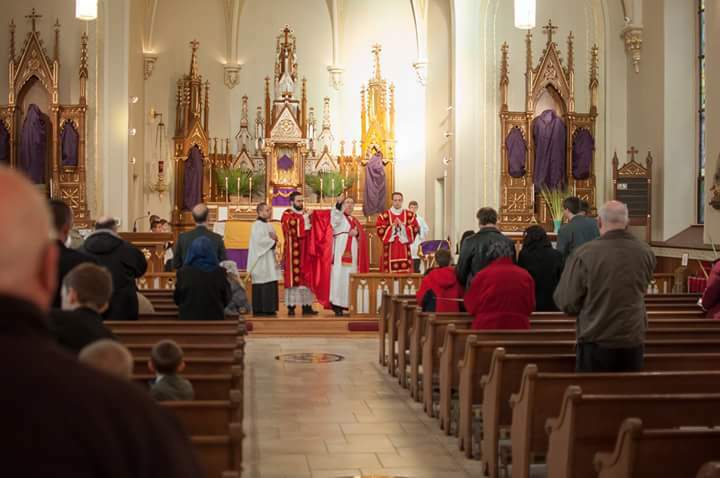 Along those lines I would like to thank photographers Ben Yanke and James Howard for their beautiful pictures from Palm Sunday. 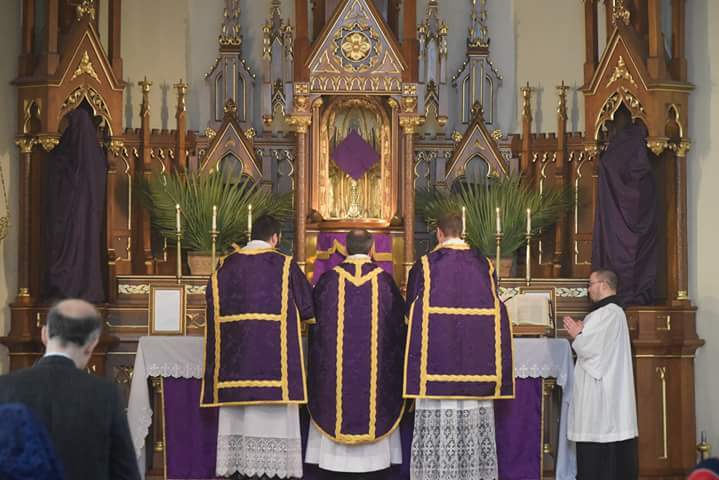 The Blessing of Palms and Solemn High Mass was offered at St. Mary’s in Pine Bluff, Wisconsin, in the Diocese of Madison. 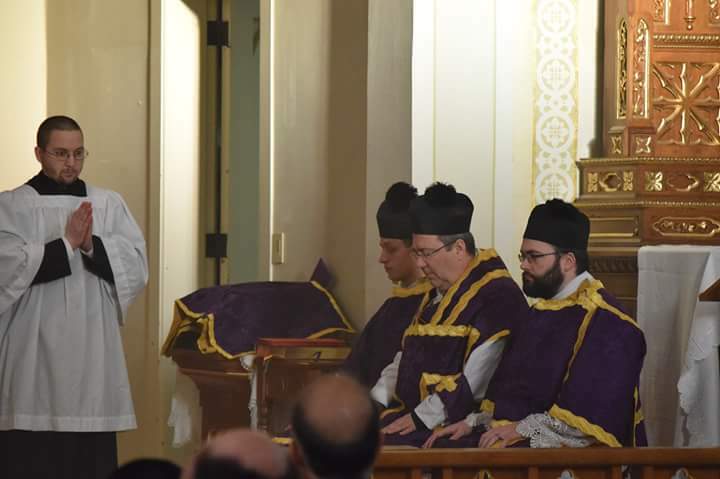 Father John Zuhlsdorf offered the Holy Sacrifice, with Diocesan vocations director Father Greg Ihn serving as Deacon and Brian McMichen as Subdeacon. 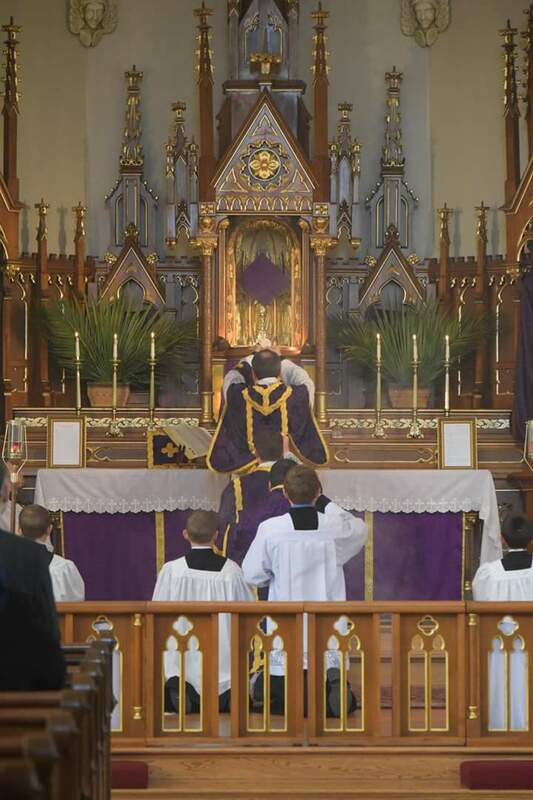 Posted on March 22, 2016, in liturgy and tagged Fr. 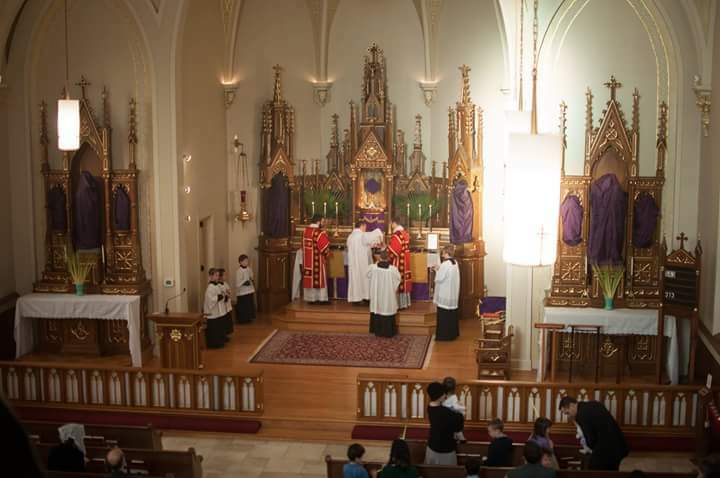 John Zuhlsdorf, Madison, Palm Sunday, solemn high mass, St. Mary's Pine Bluff. Bookmark the permalink. 2 Comments. Is photo 7 the chanting of the Passion? 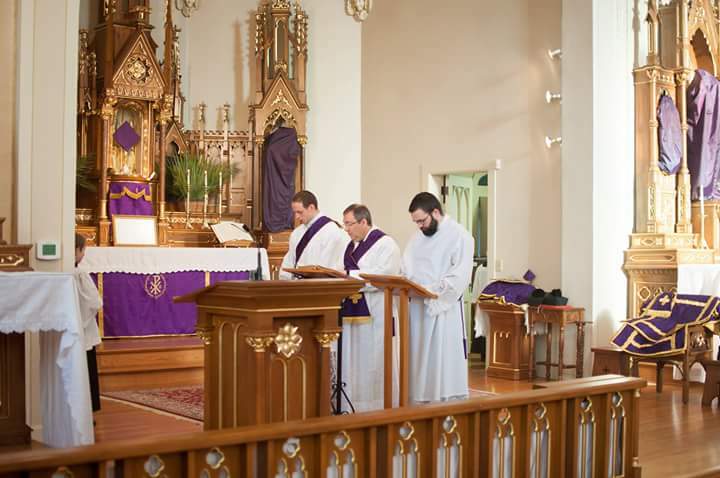 As I recall from the “good old days” when the celebrant chanted the Christus part he did so vested in chausable, standing in the “usual” position at the altar — i.e. at the “north” edge of the altar. 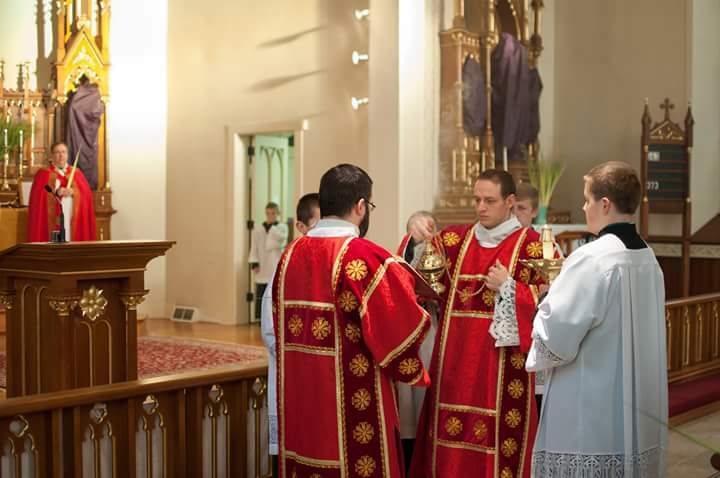 Are there legitimate variations for this part of the Palm Sunday Mass?